New Delhi, Dec 22: Whether you are having drinks with your friends and family or with your work colleagues, its important to dress up well for the New Year party. * Themed party: Choose a knitted sweater with a Fair Isle print that will match with the rest of your wardrobe. A textured jumper in a red mix can be worn at the party to enhance your look. Keep things smart below with a pair of dark blue denim which will help tone down the bold colours of the jumper and complete the look with a pair of brown or tan leather boots for the New Year party. * Casual pub drinks: In most cases dressing up for a pub scene is not required, but for the New Year party, it's worth putting a little extra effort. The cold weather allows for plenty of layering opportunities. 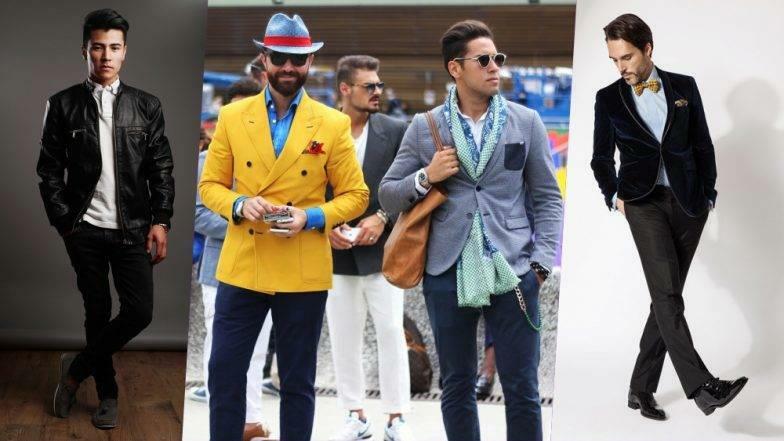 You can wear your overshirts and chunky knits under stylish coats or blazers. Keep things tonal and try out a roll neck under an overcoat and combine it with a denim and a pair of rubber-soled boots for a rugged take on casual dressing. For the final touch, wrap the patterned scarf in grey or black tone to complement the coat, and loosely wrap around the neck. * Night out: You will be freezing outside yet sweating inside if you overdo it, so correct layering is an essential while you dress up for a cold winter night. Leave the big coats behind and opt for bomber jacket instead which is more compact yet equally comfortable. For the middle layer, go for a deep red or a burgundy shirt worn untucked over a slim pair of black jeans. * Office party: Try to opt for suits which are less formal; lapels are slimmer. Pair your blazer with a crew neck T-Shirt and a navy blue jeans or narrow trousers. Here, instead of formal footwear you can choose a pair of white sneakers to complete your look. A kind of semi-formal vibe is perfect for office parties. * Black tie event: A black tuxedo is all what you need. Well-groomed hair and a perfectly tied bow tie. For a more classic appeal, go for midnight blue tuxedo. Alternatively, a velvet dinner jacket is worthy of all substitutes. * Corporate party: Give classic black suit a break, instead opt for patterned dinner jackets. A turtleneck is a best alternative to standard white shirt and tie. You may wear it with trousers or can pair it up with a blazer, it goes intricately well with plaided suits. In fact, corduroy suits are perfect for corporate evenings and can be paired with a basic tee or swiss roll necks.